On the evening of 28 February 1933, a two-seater Gipsy Moth flew into Milson Aerodrome in Palmerston North. As the small biplane rumbled to a halt on the grass runway, a Wellington urologist by the name of Robert Campbell Begg climbed out of the back seat. Tall, lean and well-dressed, there was a certain air of mystery about the man and his secret late night flight. After a well-deserved night’s rest, Begg met with a small group of prominent farmers and businessmen in the Chamber of Commerce building. His aim, he told them, was simple – to form a new national movement that would unite the country to resolve the crisis of the Great Depression. That movement would become known as the New Zealand Legion. In total, Begg travelled 5276 miles by rail, car, air and ferry between 17 February and 26 March. He attended 42 meetings and oversaw the formation of seventeen Divisions of the new movement. Within several months, the Legion boasted over twenty thousand members and captured the attention of every major newspaper in the country. By mid-1934, however, the movement was all but defunct. Despite such a dramatic achievement, the New Zealand Legion has attracted little historical attention. Even trusty Google has heard little about it, apart from a brief and overly simplistic wikipedia entry. One of the great things about my research, however, is that I get to shed light on movements such as these. So, in the spirit of open source, here is my little contribution to the rise and fall of the New Zealand Legion. The Wall Street Crash of October 1929 is generally recognised as the event that triggered the Great Depression. In New Zealand, the effects of the crash were not immediately apparent. As the New Year dawned, however, export prices began to plummet, falling by forty five percent by 1933. To a country overwhelmingly dependent upon its agricultural exports, this was devastating. By the end of 1930, urban businesses and manufacturers were feeling the flow-on effects. Unemployment rose to twelve percent of the registered workforce in 1933, and those lucky enough to keep their jobs often found their wages slashed in line with the falling national income. 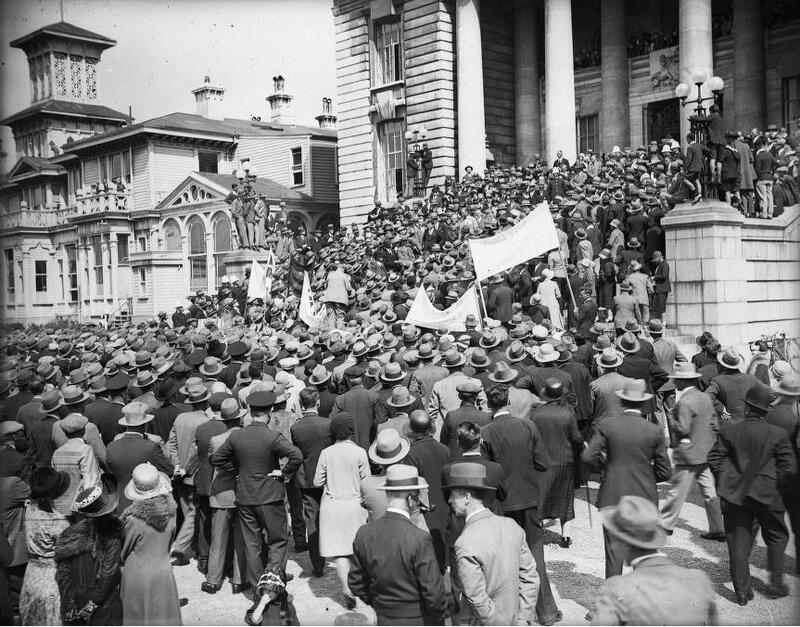 The urgency of the situation was further demonstrated by a series of unemployed riots in Auckland, Wellington and Christchurch in the first six months of 1932. 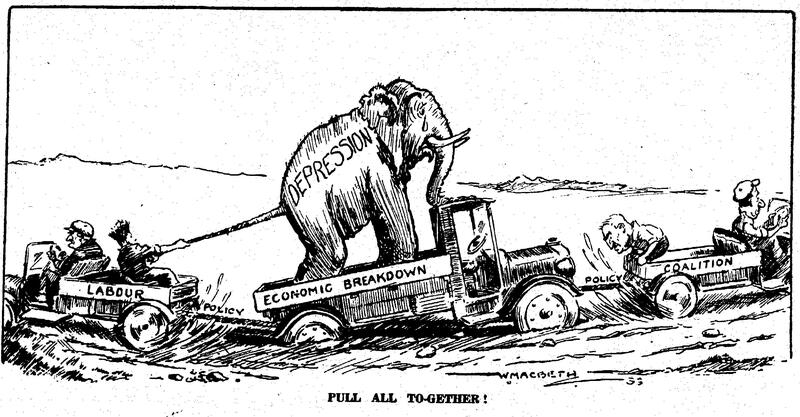 The balance of power was held by conservative parties during the Depression. The United Party – an offshoot of the decaying Liberal Party – worked briefly with the Labour Party between 1928 and 1931, before forming an official Coalition with the Reform Party. Part of United’s appeal lay in its loose adherence to laissez-faire principles – limited government, free markets, and the sanctity of contract. In contrast, Reform was willing to intervene in the economy when it deemed it necessary, including a brief flirtation with a state Dairy Board in 1926. As a result, United was predominantly a party of urban businessmen and commercial interests, while Reform drew its support from primary producers. The Coalition between United and Reform was an uneasy one. Whilst Prime Minister and United Party leader George Forbes, along with Finance Minister Willian Downie-Stewart, generally pursued deflationary measures to address the economic crisis, Reform members pushed for greater state intervention. At the centre of this push was Reform leader Gordon Coates, who pressed for the devaluation of the New Zealand pound against the British sterling. By dropping the exchange rate from £NZ110:£UK100 to £NZ125:£UK100, Coates hoped to boost the incomes of New Zealand’s farmers. After much wrangling, the devaluation went ahead on 19 January 1933. The effect was dramatic – urban businessmen throughout the country launched vehement criticisms of the government, and Downie-Stewart resigned from the Cabinet in protest. New political parties sprang up overnight to capitalise on their dissatisfaction – the short-lived ‘All New Zealand Party’ in 1933 was followed by the much more succesful Democrat Party in 1934. CONSERVATIVE PROTEST OR CONSERVATIVE RADICALISM? However, as I am fond of saying, there is substantially more meat to this bare-bones story. The New Zealand Legion was not simply a manifestation of conservative protest against the government – it was the focal point for a wide range of individuals, overwhelmingly from the conservative side of the political spectrum, who desired to ‘do something’ to fight the worsening economic conditions. Remember, at the time the Legion was born, the Depression had been ravaging both New Zealand and the world for over three years. Governments around the world had maintained their legitimacy by claiming, over and over again, that recovery was ‘just around the corner’. Such promises proved optimistic – New Zealand did not hit rock bottom until the middle of 1933, and export prices did not fully recover until the end of the decade. But the average farmer, businessman or worker in February 1933 did not possess the benefit of hindsight that we do; for all they knew, the worst was yet to come. Trevor Lloyd, 'A gleam of hope', Zealandia, 1933. This sense of urgency is highlighted by the plethora of protest organisations that formed during the Depression. On the left, the National Unemployed Workers Movement became home to thousands of destitute workers, whilst the Douglas Social Credit Movement rose to prominence on the right. Monetary reform movements were a dime a dozen, and had much in common with conspiratorial groups such as the Seddon Liberal Party. Single tax leagues returned from the political wilderness, and civil emergency organisations were secretly prepared in case of future riots. New Zealand was not alone in this phenomenon. In particular, Australia was home to dozens of mass conservative movements during the Depression. 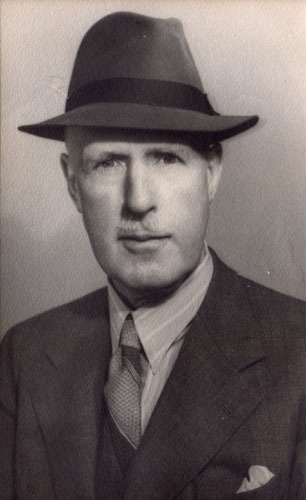 The New Guard, a paramilitary movement in New South Wales that planned to overthrow the State Labor government of Jack Lang, attracted a significant amount of publicity in New Zealand in the first six months of 1932. The All for Australia League, a citizens’ movement that amassed a membership exceeding 130000 in New South Wales in 1931, sought to unite the nation through appeals to patriotism and the national interest. In the recent Auckland disturbances, with such previous information as undoubtedly was available, since it was talked of in shops and offices and among workmen, the New Guard would have been stationed at every possible place of danger, and before half-a-dozen stones had been thrown the throwers would have been surrounded and rendered powerless. 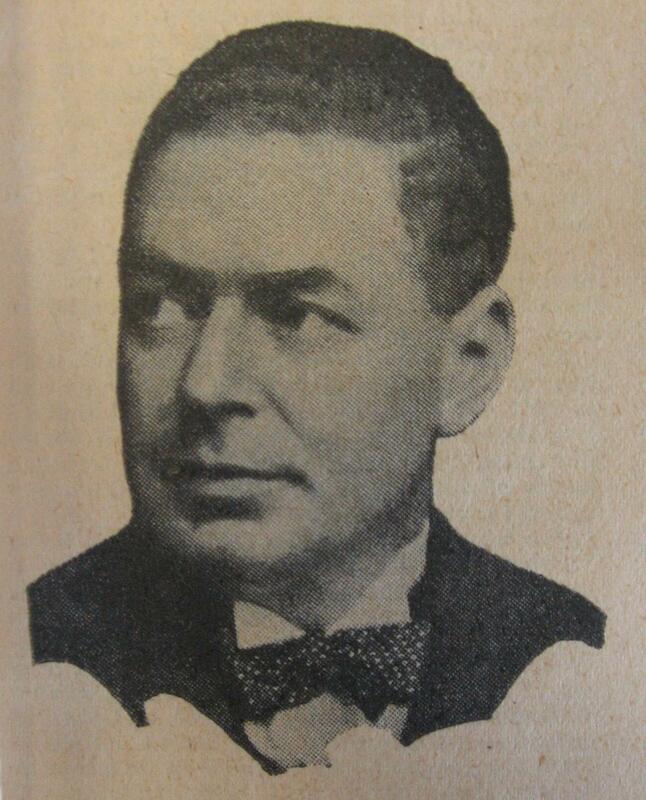 Not surprisingly, when the New Zealand Legion launched its own journal in mid-1933, Lawson was hired as its editor. He worked alongside Campbell Begg in the Legion’s Head Office in Wellington, and presumably had many conservations with him regarding Legion policy. The Legion also drew from a long history of conservative organisations in New Zealand. Its most important predecessor was the Welfare League, a pro-capitalist, anti-communist group formed in 1919. It presented itself as non-partisan and non-political, and claimed to represent the ‘national interest’ over the ‘sectional interests’ of political parties. Its energies were devoted to ‘educating’ the public in the merits of capitalism and encouraging ‘harmonious’ relationships between employer and employee. Many of its members joined the Legion in the thirties, including Campbell Begg’s brother James. The Welfare League was the driving force behind the formation of another group, the Wellington Civic League, in 1921. 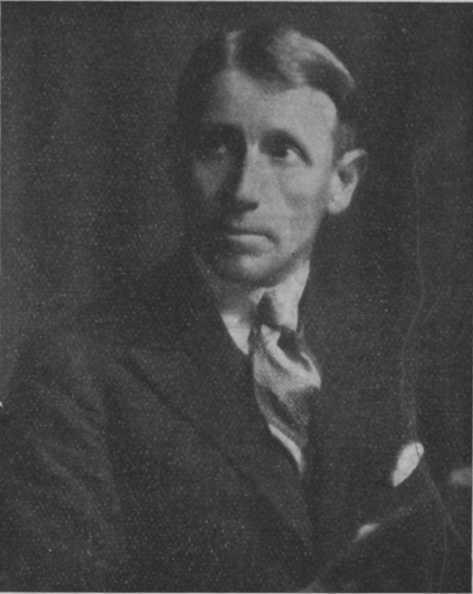 The Civic League’s focus on reducing local government expenditure led Begg to join it in 1931; at the time, he was running for the Wellington Hospital Board on a campaign of efficiency and rationalisation. This experience brought him to the attention of many local businessmen, and lent weight to his formation of the Legion two years later. For the first few months of its existence, the Legion’s efforts were devoted almost entirely to organisation and recruitment. At the lowest level of organisation lay the ‘Centre’, a group of a hundred or so individuals from the same suburb. Centres were in turn grouped under one of eighteen Divisions throughout the country. Divisional Councils were comprised of the elected Chairmen of each of its Centres, and the President of each Division served on a National Council that met quarterly in Wellington. Begg also appointed a National Executive of six to handle the day-to-day affairs of the Legion. Begg’s intention was for the Legion to be as democratic as possible; thus, policy was, in principle, produced at the Centre level. Centres were supposed to hold rigorous discussions on the economic and political woes of the time, and report their recommendations back to their Division. Division Presidents would collate these remits and bring them to the National Council for consideration. No official policy would be adopted by the Legion until it was vetted by each and every Centre. In practice, however, the Centres usually looked to the National Council for guidance. As a result, most of the National Executive’s work was taken up by printing and circulating material to the Centres for discussion. Several Committees were appointed in Wellington to produce this material, the most prominent of which was the Economic Research Committee headed by Evan Parry. The activity of the Centres varied greatly. Some, like Otago, developed detailed plans on local government reform, whilst others dissipated shortly after their first meeting. There was also confusion, both within and outside the Legion, over the material circulated for consideration – it was often mistaken for official Legion policy by the press, causing consteration amongst Legionnaires who felt they were being misrepresented. Nevertheless, the secrecy of the Legion’s early activities, combined with its vague policy and the phenomenal efforts of Begg and his fellow organisers, resulted in a rapid membership drive. By 11 March there were already 2000 Legionnaires; by the end of July, that figure had leapt to over 15000. The total membership reached its peak at around 20000 by the end of August – far less than the 400000 Begg had anticipated, but an impressive feat nonetheless. Despits its appeal to unite the entire country, the Legion’s membership was drawn almost entirely from the middle and upper-middle class. Its ranks overflowed with businessmen, professionals and sheep farmers, with a smattering of journalists and teachers. The average Legionnaire was white, male, in his mid-to-late forties, and had seen service during the Great War as an officer. Many were also involved in other service groups such as Rotary, the RSA, Chambers of Commerce, or local body government. Whilst the Legion’s initial policy was deliberately vague, it contained several key elements that were central to the movement’s ideology throughout its life. Chief amonst these was its opposition to party or ‘machine’ politics. The Legion believed that political parties were the abrogation of democracy – preselection required candidates to kowtow the party line, preventing them from voicing their own opinions. This meant that, rather than representing the interests of the nation as a whole, parties were dominated by the sectional interests of their caucus. The Legion called for the abolition of political parties, believing that independent candidates would be better equipped to represent the entire community. The Legion’s stance on parties was partially influenced by the government’s decision to devalue the currency – after all, it was thought, had that not been done solely to benefit the farmers? However, appeals to the ‘national interest’ were much older than that. 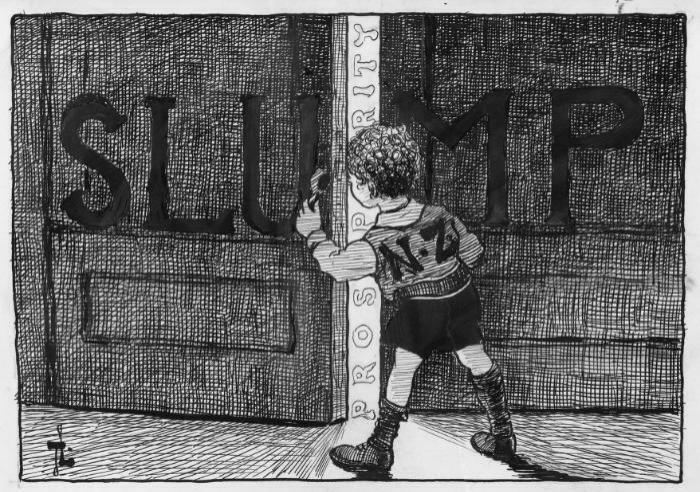 The term was closely linked to the conservative side of the political spectrum, which had appropriated it during the Great War. Groups like the Welfare League used the term heavily to describe their own worldview. The ‘national interest’ was, in fact, a thinly veiled reference to conservative interests, as opposed to the supposedly sectional interests of organised labour. What made the Legion radical was its explicit aim to abolish parties entirely – both Labour and the Coalition were, at least in theory, equally sectional. Included in the Legion’s appeal to the ‘national interest’ was a call for the moral rejuvenation of the public. 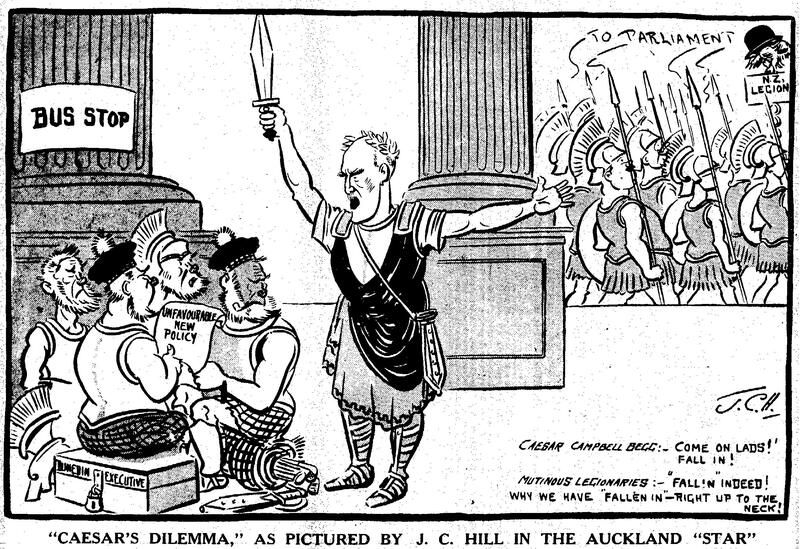 For too long, citizens had depended on the state to solve all their problems – it was time, the Legion argued, for New Zealanders to stand on their own two feet. Bloated government bureaucracies needed to be trimmed, overlapping local government bodies combined, and state spending reduced. But the movement’s concept of moral rejuvenation went beyond mere laissez-faire sentiment – it aimed to rouse in the public a patriotic conscience, a spirit of self-sacrifice, that would see them place the national interest before their own petty squabbles. In regard to your enquiry as to what action the Legion would take in the event of civil commotion, it is desirable to stress that the Legion is a society for propagation of political thought and action, and is not concerned with taking upon itself any such function as suggested. The actual control or dealing with Civil commotion is in the hands of the Government and Police and any members of the Legion must act according to their conscience in their private capacity. This is one of the points that has been very firmly stressed in regard to the movement. The Legion was an intensely patriotic organisation, although its national loyalties were split between Britain and New Zealand. 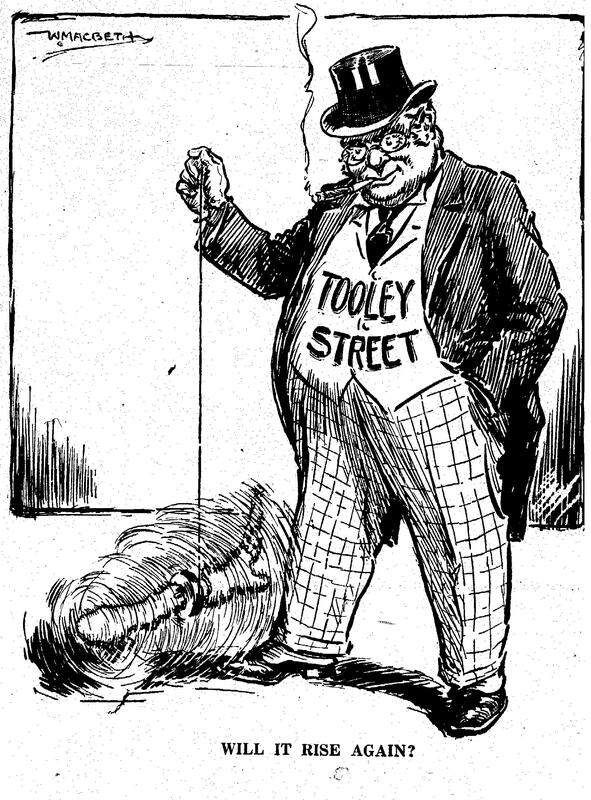 On the one hand, Begg stressed that the movement was ‘sturdily loyal to the Crown and Constitution’; on the other, many of its members levelled criticisms at the ‘international financiers’ on Tooley Street (a kind of British Wall Street for investors in colonial agriculture) who were supposedly holding the New Zealand economy to ransom. The Legion’s journal, National Opinion, was full of rhetoric extolling New Zealand to become something more than ‘a mere appendage of Great Britain’. This rhetoric reflected the rising tide of Douglas Social Credit and other monetary reform movements who blamed the Great Depression on the machinations of a secret cabal of international financiers. Because the Legion was such a catch-all movement for various ideas and grievances, it was inevitable that its inherent contradictions would crack the surface of its idealistic platitudes. The first, and most important, crack appeared during the movement’s first official National Council in July 1933. After reaffirming that it would not adopt any formal policy until it was vetted by every Centre, the Council heard the report of the Economic Research Council from its Chairman, Evan Parry. That the Legion is convinced that a planned economic system is necessary for the purpose of co-ordinating consumption and production, with a view to increasing consumption. This resolution was forwarded to all major press outlets. For an organisation supposedly wedded to laissez-faire, this was a radical break from tradition – however, it filtered down into almost every aspect of Legion activity, culminating in the adoption of an ‘Economic Council’ as its official policy. Such a council would be composed of key individuals from every major industry, and would advise the government on all matters relating to the economy and the planning of production and consumption. This policy alienated many Legionnaires who were advocates of laissez-faire – including the members of the ‘New Zealand National Movement’, the Legion’s precedessor movement – and resignations soon piled up. The Legion’s economic policy also borrowed heavily from Douglas Social Credit. A ‘Stamped Scrip Scheme’ proposed in July 1933 suggested the creation of a State Credit Board which would be responsible for issuing ‘scrip stamps’ to the unemployed to facilitate greater consumption. Social Crediters within the movement praised the plan, and the letters’ pages of National Opinion contained an ongoing debate between them and the remaining adherents of laissez-faire. In March 1934, the Legion adopted State control of the currency as official policy. The letters‘ page of National Opinion was also the stomping ground of another faction within the Legion – the single taxers. Led by E. W. Nicolaus, a member of the Commonwealth Land Party, this faction pushed for a simplified economic policy that abolished all taxation except for a single tax on the value of land. Despite Nicolaus’s prominent role on the Economic Research Council, they were unsuccessful, and the Legion drifted between elements of a planned economy and social credit. One area in which the Legion maintained a sense of unity was its desire to reform local and central government. At the time, local bodies were a mess of overlapping authority and repetition. The Legion proposed dividing New Zealand into several ‘Shires’ or Provinces, within which local government bodies would be amalgamated and rationalised. Elected Shire Councils would then be completely responsible for all local matters, freeing MPs to focus solely on national concerns. Internal divisions and resignations over Legion policy had considerably sapped the movement’s strength by the beginning of 1934. In the Hawke’s Bay Division, only two of six Centres were functioning satisfactorily, and of the outlying Centres it was reported that ‘complete silence reigns’. Begg attempted to rally the Legion with a stirring speech on the movement’s anniversary in February, and a complete twelve-point policy was issued in March. Nevertheless, despite a brief resurgence in some Centres, apathy continued to set in. Lack of finance was also an ongoing issue. As early as August 1933, the National Finance Committee reported a deficit of £434, due mainly to the inability of Divisions to meet the fundraising quotas assigned to them in April. The publication of National Opinion only made matters worse – circulation was poor, despite multiple attempts to promote it to a wider audience. It limped on until October 1934 before being replaced by Legion, a cheaper production that only managed to produce four issues. After a failed attempt to get the leaders of the three main political parties to agree to a Unity Government, the Legion decided in July 1934 to field its own candidates in the 1935 election. This raised the obvious claim of hypocrisy, as well as fears that Legion candidates might split the conservative vote. By 1935, however, the Legion lacked the capacity to fund its own candidates, and the plan was abandoned. Nevertheless, in May 1935 the Legion officially endorsed several candidates for the Lower Hutt local body elections, seven of whom were elected as councillors. Above all, the improving economic conditions undercut support for the more radical policies of the Legion. The government’s controversial decision to devalue the currency began to pay off as an increase in farmers’ incomes percolated throughout the rest of the economy. New Zealand had turned the corner, despite the Legion’s continuing attempts to deny it. By May 1935, even Begg had had enough. Citing work commitments, he resigned as President in favour of Clarence Meachen, a fellow medical professional and a pioneer in blood transfusions. Despite Meachen’s upbeat rhetoric, he was unable to keep the Legion alive – after publishing a list of recommended candidates for the general election in November 1935, the movement dissapeared from the pages of the popular press. A few Centres, such as the one in Hastings, devolved into local study groups in 1936. SO… WAS IT FASCIST OR NOT? In short, no. Whilst certain elements of its ideology – its intense patriotism, its call to ‘national unity’, and its opposition to party politics – were reminiscent of fascism, the Legion was too wedded to classical liberalism and parliamentary methods for it to be considered anything approaching fascism. Its ultimate goal was a more democratic, less sectional, and more efficient government, and it flatly rejected any suggestions of paramilitary methods or a dictatorship. Of course, what the Legion considered ‘democratic’ was merely a smokescreen for its own sectional values, but that can hardly be considered fascist. The New Zealand Legion represented a form of conservative radicalism – a populist and idealist ideology that swept across Australia and New Zealand during the Great Depression. The Legion and its Australian kin were were mass movements of the conservative right – bound by the same general principles of their mainstream fellows, but radicalised by the economic crisis of the time. For various reasons – the easing of Depression conditions chief amongst them – their support base was ultimately undercut. With the bulk of conservative opinion swinging back towards the centre, their demise became a foregone conclusion. Thank you Matt – a very interesting, well thought out and well balanced article! Knowing my grandfather I believe you have summed up his ideology well. Also my mother now understands why the family left New Zealand for South Africa shortly afterwards!! !